The Retiform Technique is a deceptively simple design. 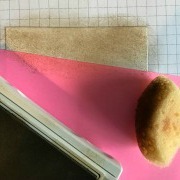 It is also called the grid technique as it has lines (grids) across the card. 2. Colour card stock with inked sponge or dauber. 3. Stamp with inked image or sentiment. 4. Cover top section with mask. 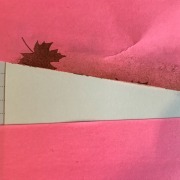 Use another post-it note to create a new section adjusting the angle of the line. Follow steps 2, 3 and 4 until the card is completed. 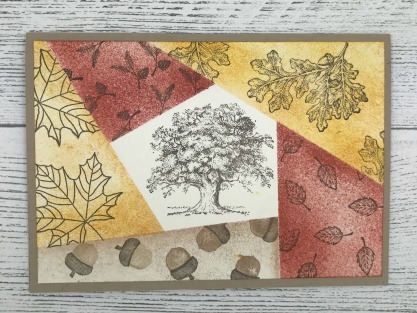 Warm autumnal colours were used to complete the card. 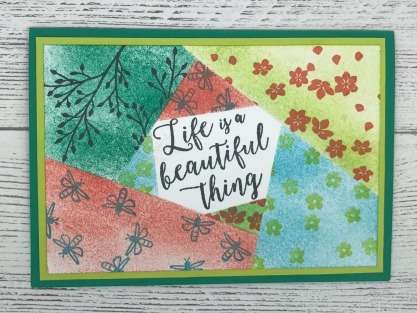 All available from Stampin Up! Colours within the same tonal range or colour family. 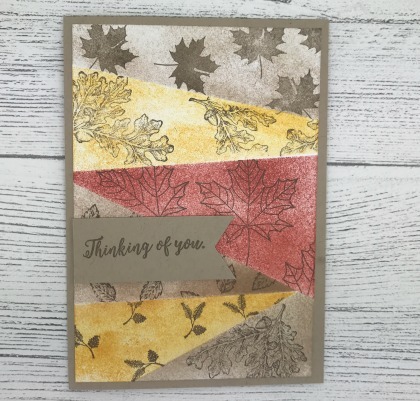 A mixture of image and sentiment stamps in different sections. A single colour but different images in each section. 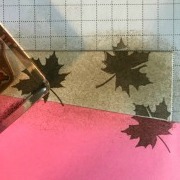 Stamping an image in the centre of the card stock and using the technique around the edges. 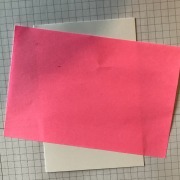 Creating white space between each section by lowering the post-it mask.